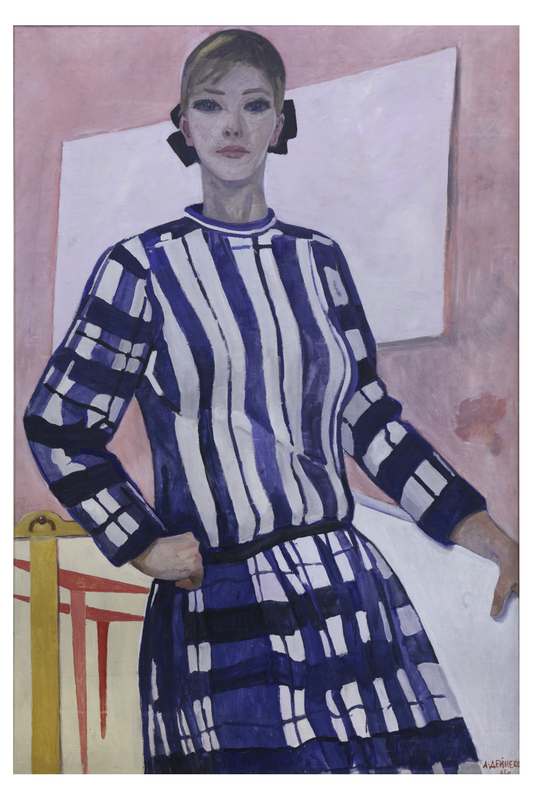 Sotheby’s have announced they are to sell a selection of paintings from the collection of the Confederation of Artists Union(formerly the Artists Union) in the sale ‘Important Russian Art’ in London on the 2nd and 3rd June. The Artists Union have some very good paintings as most of the leading Soviet painters were members of this Union and the Union selected good examples from the work of each of their artists. There was an understanding that such works would one day be given to a museum and artists were generally happy to donate some work key works. These paintings have recently been offered privately in Moscow and indeed a few sold already including works by Deineka and Pimenov. However, the Union has found it hard to sell its works primarily because they have been asking enormous prices and many questioned whether they had the right to sell paintings which had been given to them. Sotheby’s will have checked the legality carefully before taking on these works and buyers can now be reassured that Sotheby’s lawyers came away satisfied that a genuine sale can take place. The book explains that in a desperate attempt to raise hard currency the Soviet State, between 1929 and 1935, sold off much of the treasure of the Orthodox Church and 24,000 artworks from the Hermitage Museum including many of the most important paintings in Russia. This book, which illustrates many of the treasures and gives their current location, must make painful reading for many Russians. 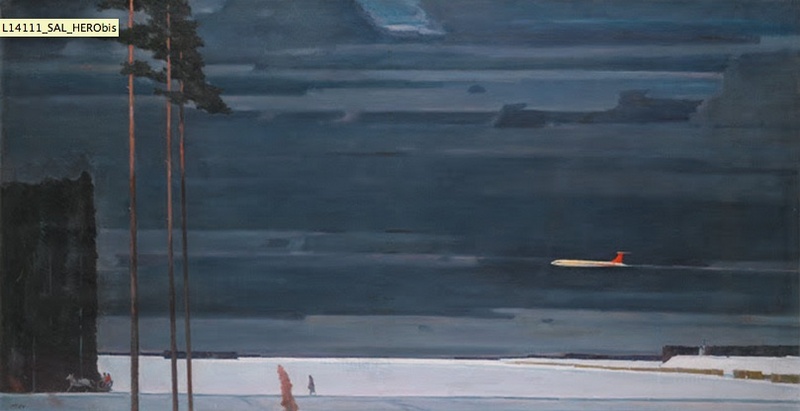 Georgy Nisski, ‘Over Snowy Fields,’ 1964, Est Pounds 500, 000 – 700,000, Sotheby’s Russian Sale, June 2 -3. The Auction rooms have long overlooked the Soviet period and it seems that Sotheby’s have finally woken up to the potential of the art produced during this fifty year period. They started with the exhibition of Sporting Art in the New Year from the Institute of Russian Realist Art but that was not a good advertisement for Soviet Art as the artworks had been mainly selected for their subject matter as opposed to their artistic quality. 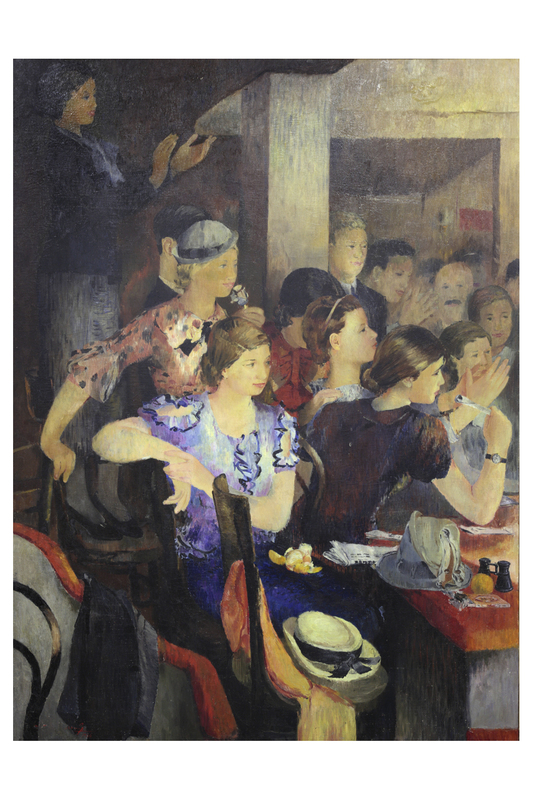 Yuri Pimenov, ‘In a Theatre,’ 218 x 167cm. These pictures from the Artist’s Union are good representative paintings of the period from the 1930’s to the 1960’s and it will interesting to see how they fare on the Western Art Market.